Notches Pattern Shop is Retail Stockist for Jalie Sewing Patterns. 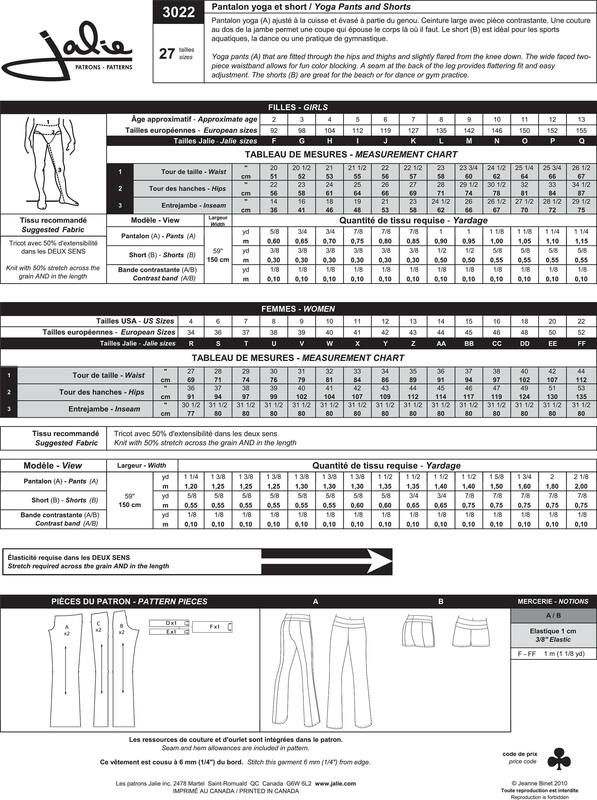 Package includes patterns and instructions to make Yoga Pants and Shorts. Yoga pants (A) are fitted through the hips and thighs and slightly flared from the knee down. The wide faced two-piece waistband allows for fun color blocking. A seam at the back of the leg provides flattering fit and easy adjustment. Shorts (B) are great for the beach or for dance or gym practice. Pattern Condition: UNCUT, factory folded paper pattern in original sealed plastic sleeve. Printed in French and English.